Having scored 96% in Class 10 and 83% in Class 12 exams (language of instruction: English), Surya K has successfully secured an admission in MNM Jain Engineering College in Civil Engineering. 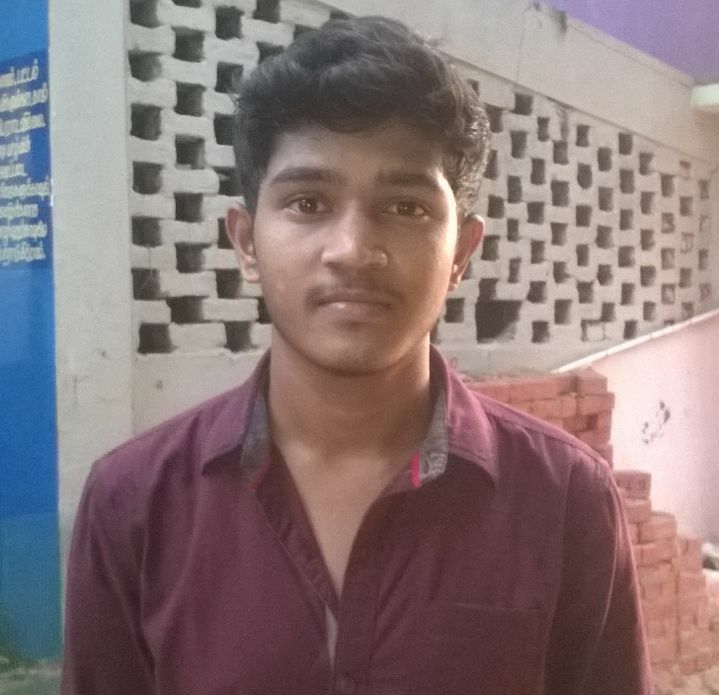 As the first graduate in his family, Surya is the son of Lakshmi, a domestic helper, and Kumaran, a painter. 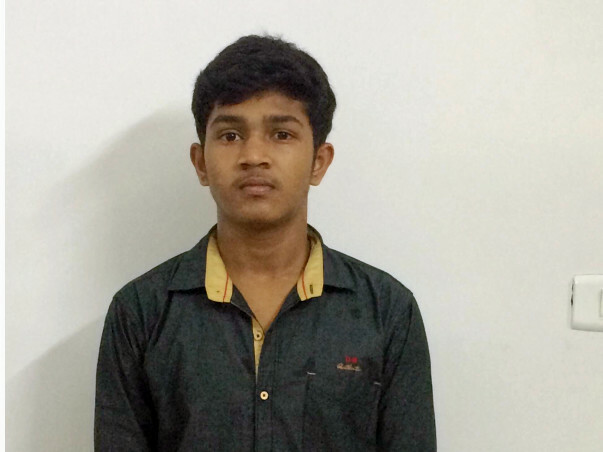 We are helping Surya raise funds for his education. For 4 years, this amount to Rs. 3,08,000 (accounting for the fees charged by this platform to raise the necessary funds). As members who have initiated this campaign, we have decided to hold the funds and make requisite payments to the college directly. My name is Sriram. I am a Milaap Open fellow in Chennai.On Sunday evening a couple of weeks ago, the final match of the IPL tournament was on, and I spoke with Surya - the beneficiary of one of our most successful campaigns in Chennai, championed by Mr. Ravishankar. That Sunday, Surya was as disappointed as was any other youngster in the neighborhood. "I was really looking forward to see India play this evening, Anna (brother). But it is alright, we are still going to watch the game." Surya is soft-spoken and observant. Curious about the fundraiser, he asks several questions and then exclaims, "Semma Anna!" (Brilliant, brother!) He is extremely glad that crowdfunding, which he has never heard of before, was actually helping him get through college. "When we heard about their domestic troubles, we were quite concerned. Worried about the child's future, we decided to act", says Mrs. Chitra Ravishankar, speaking of Surya's mother, who has been working in the former's household as a domestic help for several years now. 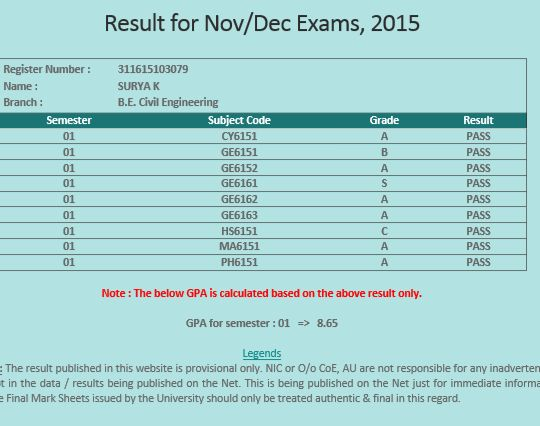 Surya shared a screenshot of his semester results from December 2015. He has secured a GPA of 8.65/10. The vice principal at his college has agreed to write a letter of appreciation soon, so Surya's campaign donors can see their goodwill come to fruition. "It was an extremely easy process with Milaap - very smooth, no hiccups. Could you please re-open the campaign so we can arrange for the next year's fees?" Mr. Ravishankar wishes there was a way for people to donate monthly on a recurring basis. Several people live in the fringes of the urban community: cleaners, maids, cooks, drivers - they all have the same dreams and aspirations for their kids as do people who are better off. Milaap is glad to be able to mobilize the power of the crowd to impact often overlooked people in our everyday lives. Ravishankar's fundraiser is now open to help raise money for Surya's next year at college. Please show your support here. So far we have raised Rs 88945 against a goal of 3 lacs thanks to your generous contributions. Our Impact partners have offered to match all donations made on your campaign page www.milaap.org/campaigns/SuryaEngineering starting today until 31st March 2016. The total amount available for matching is Rs 50 Lakhs. This means for every rupee/dollar we raise on the campaign in the next 10 days, our sponsor will contribute another rupee/dollar - thereby giving you 2X amount. Encourage you to share this with your supporters and followers and make the most of this opportunity. Personal emails and Facebook posts work the best in our experience.